This Creek is lined by a host of old growth river red gums and traverses the width of the southern Park Lands, from Victoria Park / Pakapakanthi (Park 16) across the neighbouring Parks 17, 18, 19 and here in 20. For much of its length it’s not a natural watercourse but an artificial drainage channel that was built in 1917 to channel water away from the Greenhill Road – Fullarton Road intersection, and through the South Park Lands. However here in Park 20 it's more of a natural watercourse, or rather an ephemeral creek – meaning it doesn't have water all the time. The Adelaide City Council has planned for the rehabilitation of the creek into a significant wetlands environment, which includes interpretive and education facilities, boardwalks and a range of nature play and recreation opportunities. Work on this rehabilitation began in 2017 in nearby Park 18. This is not the only drainage channel in Blue Gum Park. The other channel, further to the west of Park 20 is dead straight – it can't be mistaken for a natural creek. 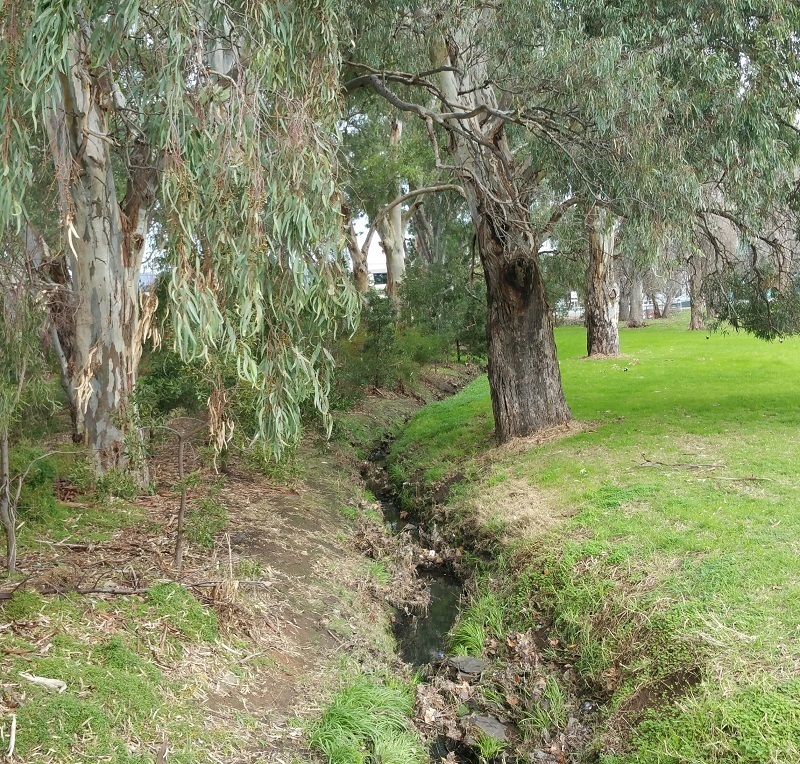 Adelaide Park Lands Preservation Association, “South Park Lands Creek,” Adelaide City Explorer, accessed April 24, 2019, https://adelaidecityexplorer.com.au/items/show/331.